Recently Heanor & Langley Mill Safer Neighbourhood Team organised a community litter pick in Langley Mill. This was supported by Conservative County Councillor Alex Stevenson & Conservative Borough Councillor Henry Thompson. In total 26 bags of litter were collected. Councillors Stevenson and Thompson would like to thank everybody who came out to help. Volunteers included the local community groups Heanor Vision and the Blend Youth Project team. 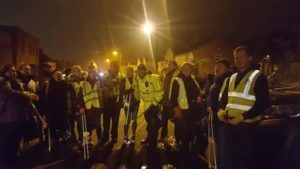 The next community Litter Pick is going to be in Heanor. If anybody would be interested in getting involved please contact Councillor Alex Stevenson.